Dr. Babak Azizzadeh, the founder and Director of The Facial Paralysis Institute, is a Facial Plastic & Reconstructive Surgeon who is deeply committed to the treatment of individuals with facial paralysis and Bell’s palsy. He is board-certified by the American Board of Facial Plastic & Reconstructive Surgery and the American Board of Otolaryngology-Head & Neck Surgery. The most important treatment objective for individuals with facial paralysis is prevention of unwanted eye complications, reconstruction of facial movement, restoration of a dynamic smile, and improvement of facial aesthetics. At the Facial Paralysis Institute, Dr. Azizzadeh and his team of facial plastic surgeons, otolaryngologists, neuro-otologists, neurosurgeons, head & neck surgeons, ophthalmologists and physical therapists utilize a systematic approach to reach these objectives. 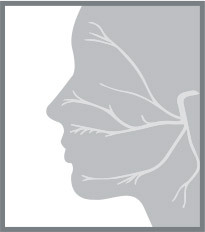 The Facial Paralysis & Bell’s Palsy Foundation was founded in 2009, with the goal to provide support, encouragement, and resources to individuals and families dealing with facial paralysis and Bell’s Palsy. We are also dedicated to raising awareness of facial paralysis concerns within the medical community, and in society at large. Smiling is perhaps the most important way people communicate with one another. At the Facial Paralysis Institute, we are committed to helping all of our patients regain this important feature of daily life. 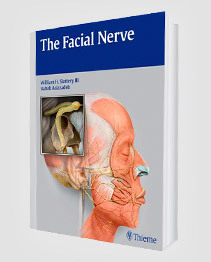 We know you are here because you or a loved one may be experiencing a facial nerve disorder. The facial nerve is one of the most important neurologic components in our daily lives as its primary role is controlling the muscles of facial expression – and hence our smile mechanism. Despite running a busy and renowned Beverly Hills surgical practice, Dr. Azizzadeh always makes sure he finds the time to help the less fortunate in our world. He has traveled extensively through Southern and Central America over the years, helping children in need with craniofacial deformities. Dr. Azizzadeh is passionate about treating children with cleft lips and facial paralysis, and has directly helped countless children by conducting facial reconstruction procedures. 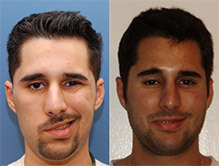 Babak Azizzadeh, MD, FACS, and his team at the Facial Paralysis Institute strive to provide all patients suffering from facial paralysis and Bell’s palsy with the most cutting-edge surgical techniques to help them regain their smiles. An important factor to consider when pursuing any medical procedure is the cost of the treatment and whether or not it is covered by insurance. Although facial paralysis is a medical condition, many insurance companies do not cover essential facial Reanimation procedures. 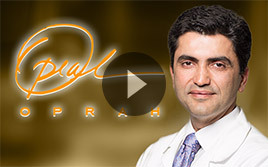 Dr. Azizzadeh often answers patient question on RealSelf.com. Below are some of his responses. Facial Paralysis affects far more than the movement and coordination of the facial muscles. The result of having Bell’s palsy and other forms of facial paralysis cut much deeper than what can be observed from the outside. It’s important to consider the extreme emotional impact that having facial paralysis makes on people’s lives.